The answer to that question probably lies somewhere in Feudalism and how the State of Georgia was originally split up when first created. Much power was invested in the County. 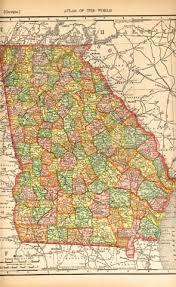 Georgia has the second most counties of any state in the U.S. And each Georgia county wields a lot of power. But there has never been a statute that address county liability for negligence and injury to a person that would permit suit in negligence against the county. The very recent case of Marshall v. McIntosh County, decided by the Georgia Court of Appeals on May 30, 2014, reminded me of this rather inequitable situation. Sandra S. Marshall, the surviving spouse and administratrix of the estate of her late husband, sued McIntosh County and the director of its 911 emergency telephone system, Sheila K. Deverger, in her official and individual capacities, alleging that the defendants were liable for refusing to respond to a 911 emergency telephone call. The trial judge, Judge Jay Stewart, McIntosh Superior Court, dismissed the case before it ever got to a jury on the basis of sovereign immunity. The Georgia Court of Appeals agreed and affirmed. The facts of the case were egregious: The Plaintiff’s late husband, John K. Marshall, began experiencing chest pain while on Blackbeard Island in McIntosh County, Georgia, leading him to call 911 and advise the operator that he was having a heart attack. Marshall’s request for aid was communicated to Deverger, who was the director of the McIntosh County 911 emergency telephone system. According to the complaint, Deverger refused to send aid to Marshall and directed McIntosh County emergency medical technicians (“EMTs”) not to respond to Marshall’s request for medical service. Marshall never received medical aid from McIntosh County, and he died on Blackbeard Island later that same day. So where a 911 operator refused to send medical help, which ends up killing someone, there is no case against the County. Egregious facts, sure. But, unfortunately, egregious facts don’t really have any impact on a sovereign immunity analysis. The bottom line was that McIntosh County had not waived its immunity and, therefore, the wife could not bring a successful claim for the unwarranted, wrongful death of her husband. Awful. I’ll note that the claim against the 911 operator in her individual capacity survived under a different analysis, but that is a very hollow victory. “Under our Constitution, Georgia counties enjoy sovereign immunity, and can be sued only if they have waived their immunity.” (Citations omitted.) Strength v. Lovett, 311 Ga. App. 35, 38 (1) (714 SE2d 723) (2011). See Ga. Const. of 1983, Art. SE2d 272) (2011). See Ga. Const. of 1983, Art. I, Sec. II, Par. IX (e); Woodard v.
(1) (456 SE2d 97) (1995). I believe the Marshall opinion and all the others that have allowed counties to get away with killing its citizens through negligence are a resounding call for a legislative fix, along the same lines that allows injured Georgia citizens to sue the State. It would be far easier and far fairer for all concerned if the Georgia Legislature would include all Georgia Counties in the Georgia Tort Claims Act as it does the State. There is a fair quid pro quo in the GTCA: a harmed citizen may sue the state but damages are capped at $1 Million, regardless of the injury and regardless of what the jury may return for the plaintiff in a verdict. If, for example, the jury returns a verdict for a plaintiff against the State for $3 Million, the trial court would simply write off the excess $2 Million and the plaintiff would receive $1 Million, the maximum allowed under the statute. That is a fair compromise. The injured citizen gets some redress and feels like she has received some justice, and yet the State coffers will never be hit with any so-called “runaway” verdict. The time has come to eliminate this ancient “get out of jail free card” for Georgia Counties. Here’s hoping the Georgia General Assembly will act in 2015.